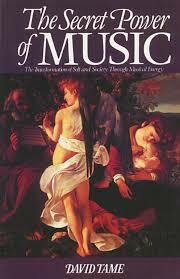 Welcome to Part II of this blog discussion on David Tame’s The Secret Power of Music. Part I explained Tame’s main point of the initial part of his book. Namely, that music among the ancients, that philosophies that can be traced up to the present time, was considered an essential part of the source of the universe and a way for the divine to manifest in human beings, and for humans to spread the goodness and harmony of the universe on earth. While Tame’s book covers many aspects and variations of music across world cultures throughout time, it boils down to two conflicting musical conceptions: the divine and ordered nature of music among the ancients up to the 19th century vs. the individualistic and disordered conception and creation of music since then. The second part of Tame’s book drifts from classical music into the experimentalism of the 19th and 20th centuries and ends in discussions of jazz, “computer music,” and rock and roll. While in the end, it is rather obvious that Tame’s affection lies in the divinely inspired music of the ancients, the book in its entirety is worth understanding as it covers a broad swath of musical inventiveness. From here Tame briefly covers the music of the eighteenth and nineteenth centuries. 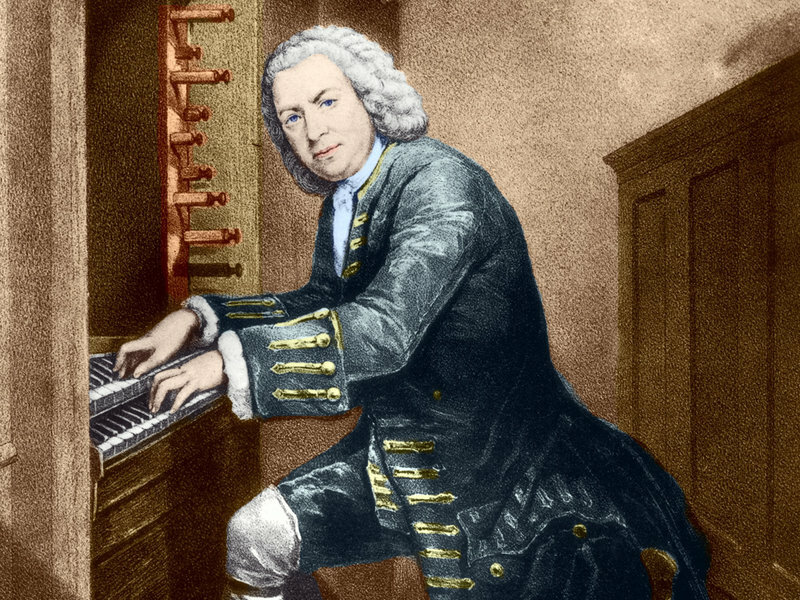 His main point is that the music of Haydn, Mozart, Bach, and Beethoven were saturated with the goal of spreading “spirituality, joy, and brotherhood.” Bach’s Brandenburg Concertos were replete with divinity in the perfect mathematical harmonies, their gorgeous melodies, and powerful rhythms that mirrored the vibrations of the greater universe. According to Tame, Mozart, as a Free Mason, ensured that Masonic symbolism and spiritual ideals were embedded in his work which culminated in the Magic Flute. 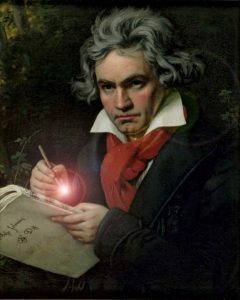 Beethoven’s work, which called secular by some, is also renowned as spiritual in nature. His nine symphonies relate to transcendence and his five final string quartets understood to be mystical. Still, throughout the 19th century, the power of music continued to be used for “higher” moral purposes. However, at the end of the nineteenth century, Tame further explains that the higher purpose of music began to go astray. The beginnings of change were brought on by experiments with technique, not a purposeful harnessing of the power of music for other purposes. Western music, though it had been used for centuries by the Church and for “morality” nevertheless did not have a code requiring musicians to play only certain music, as did the ancients. Therefore, over time, innovations occurred, led by the likes of Bach, Beethoven, and Wagner. Their musical experiments were met with criticism and Tame mentions Beethoven’s Grosse Fuge as a target of tradition. He created alternative parts to sway the critics and only after many decades that his avant-garde work was appreciated. During this time, composers introduced new instruments, increased rhythmic complexity, used tones more freely and modulated freely, though still obeying traditional rules of tonality. 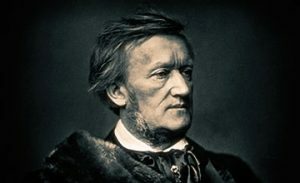 Wagner did modulate himself into a freedom from key in his later works as Tame notes. The Secret Power of Music undergoes a major shift at this point as it delves into the musical developments of the 20th century. At this point, Tame states that composers no longer created music with a philosophical or moral purpose. But, instead, had different artistic reasons to create. Music was now drifting away from it’s spiritual based moorings and instead focused on the mental, emotional, and even physical elements of human experience. Human intellectualism began to replace the sacred math and spiritual symbolism of the past. Instead of experimenting to improve the quality of their music, the great age of experimentation began, experimenting for its own sake. Tame describes the “vertical” line of music in the past, from human to the heavens, as being replaced with a “horizontal” line from human to human. Here Tame covers one of the first realist composers Mussorgsky (1839-81) who emphasized connecting with the “people,” the real world of mankind. Tame likens him to the 19th century Jack Kerouac, a beat poet who emphasized individualism and a lack of rules. Tchaikovsky is mentioned next as a tortured artist due to his homosexuality (apparently according to Tame) who further expressed the personal emotions of anguish in his music. And, through him, we reach Igor Stravinsky and his Rite of Spring, which is heralded as revolutionary. The main focus when studying this work is academic, which Tame bemoans as lacking any sense of spirituality. At this point, the author seems to be implying that all sense of the “true power” of music has been stripped away. 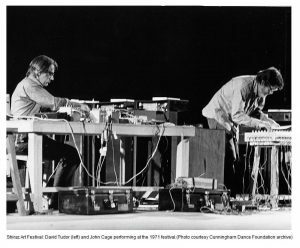 Cage of course continued to experiment and actively worked to deconstruct musical notions of the past. In the 1942 Credo In Us Cage required the use of a record player that would play a classical piece in tandem with jazz or other contemporary music. The performer was required to lift the needle from time to time, chopping apart the classical piece throughout. 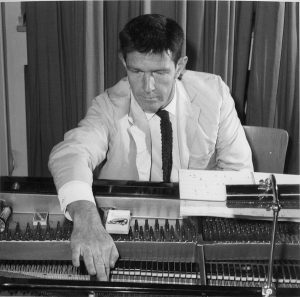 During the 1940s, Cage fully introduced the “prepared piano.” These pianos were altered by placing objects inside, resting on strings which included pieces of wood, nuts and bolts and other hardware. For this he is most famously known. Cage also reveled in composing by chance, using dice and alter computer-generated randomness. Cage himself deserves, of course, an entire book, surely have been written. At this point, I can lend a story of my own. Yes me, the author of this blog. In college I was fortunate enough to witness a performance of a Cage piece at the Kennedy Center in Washington DC. My music theory professor brought us there as he knew it could be our only change to ever see Cage speak, as he was there that evening. There are two are distinct moments that I remember. One, Cage recalled a mishap on stage once in which he was too near a massive speaker which suddenly emitted massive feedback and he lost his hearing for a few days. When asked how he felt about the experience, Cage said something akin to: “Wonderful, I got to hear a really really loud sound.” The second moment was during the Q&A when a music student asked Cage if he had any advice for an aspiring composer to which he replied, “You have to love sound. You have to love sound with your whole heart.” That is the power of music, in all it’s deafening force and all of its allure. Throughout The Secret Power of Music, it becomes apparent where Tame stands. While his book is an excellent and detailed explanation of the evolution of music, he criticism of revolutionary thought in the 20th century falls a bit flat. While Tame attempts to paint 20th century music as some sort of fall from grace, a tumbling of human morality away from the divine, it is clear that Tame’s own biases shine through.